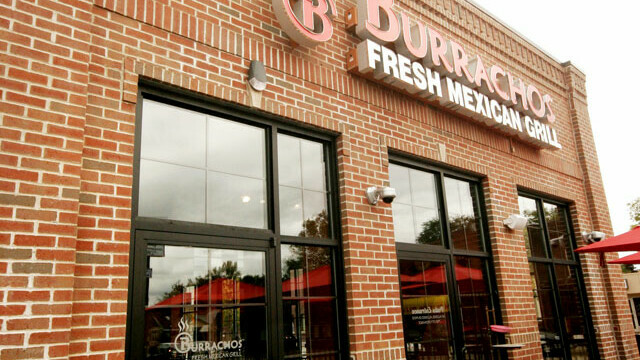 Burrachos serves up made to-order Mexican fare in a fun, contemporary atmosphere. To build your own zesty entrées, select from fresh meats, veggies, cheeses, and salsas a la carte style – just begin at one end of the counter and let the chefs guide you along. The ginormous burrito is a definite crowd favorite. Open late on weekends, outdoor seating available, and vegetarian friendly.